Fondazione CRUI is promoting a call for the selection of 16 curricular interships in Italian schools abroad. The network of schools abroad is a resource to promote Italian language and culture, as well as to preserve the cultural identity of Italians and their children. Internships listed in the call will be held in the 8 comprehensive state schools in Addis Abeba, Asmara, Athens, Barcelona, Istanbul, Madrid, Paris e Zurich. Interns will carry out researches, studies, analyses and processing useful data for each school’s dossier. Students may also be involved in the organisation of events and help MAECI and school staff in outdoor activities. Founded in 2001 in the Conference of Italian University Deans (Conferenza dei Rettori delle Università Italiane) to provide services to universities, Fondazione CRUI has always focused its attention on innovation and job placement for university students. Promoting internships for university students and graduates is an activity held by the Fondazione since 2001. high quality standards for internships as well as interns are guaranteed, thanks to the collaboration with important public and private entities, and to an advanced management and selection system in which candidates’ universities take part in. Fondazione CRUI, as referee for the entire university system, finds strategic partners with which it organises internships. Its goal is to ensure Universities and its students will have a highly educational and useful experience for the development of a conscious approach to the job market, while offering host entities the opportunity to select their own interns among excellence in all Italian universities. 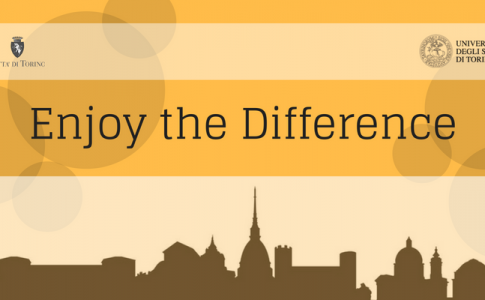 Are you going to start taking a degree and want to enrol at the University of Turin? Whatever the degree course you may be interested in, UniTo provides 20 free online courses you can take while attending school, even if you still aren’t a university student. The Project was made by the Departments of the University of Turin, contributed by the Compagnia di San Paolo. You will be able to study at your own pace, to train with self-assessment tests and take the exam as soon as you’ll be enrolled. Registering is easy and quick: connect to the Start@UniTO platform and choose the courses you’re interested in, log in with a click and your credentials and start your new studies. Courses are from first-year subjects of almost all UniTo degree courses – from physics to social science, from information technology to cultural anthropology, from law to languages, from maths to zoology – specifically thought for those who have to start university. They’re readily accessible because they are on a dedicated multimedia platform. You will find multimedia content you can access at your own pace and you will be able to put yourself to the test through self-assessment tests. Once you complete the course and pass the final test, you will get a certificate of attendance for your first university corse, and you will be able to take the exam as soon as you’ll be enrolled, and your first credits will be registered on your exam transcript. 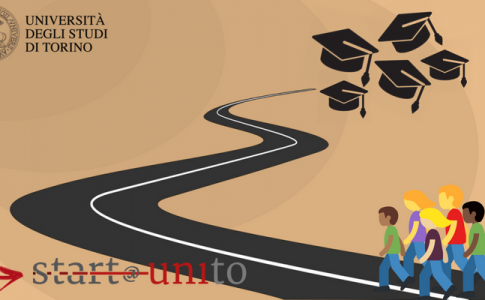 Start@UniTO helps you start University on the right foot: not only it helps you choose the best degree course for you but also gives you the chance to pass a university exam at the beginning of your career! Dean Ajani presenting the Progetto Start@Unito. Researchers from the Math Department G:Peano (Dipartimento di Matematica G. Peano) of the University of Turin have developed the first system that allows the automated creation of pdf texts with mathematical formulae which can be read by blinds or people with visual impairment. The research team is leaded by professor Anna Capietto, who teaches mathematical Analysis and who is the contact person responsible for disabilities of the Department. This “Made in Unito” invention will be presented next July in Austria, on occasion of the most important event about the subject (International Conference on Computers Helping People with Special Needs – ICCHP), as it is an important breakthrough regarding the access to texts containing formulae. In fact, currently the digital material made available by screen readers and Braille displays is almost non-exhistent. This limitation prevents people with visual impairments from attending scientific studies or choosing some careers. In the context of LaTex, the most common Markup language, used for the preparation of scientific texts, researchers succeeded in realising an additional package which enables the creation of pdf documents with an accessible mathematical content. By adding a simple line of code to their work, be it didactic, professional or educational, authors of texts containing formulae (even without specific knowledge of assistive technology) can make their work accessible. 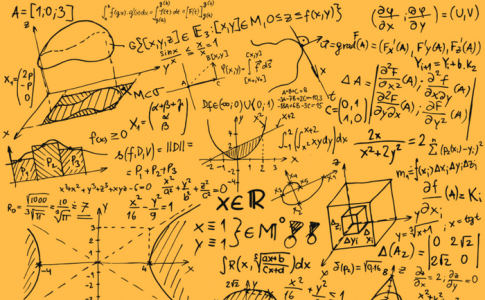 Within 2018, the first accessible texts of Mathematical Analysis 1, Linear algebra and Analytic Geometry will be made available for people with visual impairment. Moreover, it expected to improve the accessibility of the entrance texts at University and of the mathematical software Maple and MatLab. The project, which has been carried out since 2012 by 12 people (among them, researchers and research techs of the University, professors of secondary school and professionals from private companies), has been made possible thanks to the contribution of 7 voluntary collaborators with visual impairment, who operate as indispensable experimenters. What are the professional profiles requested today by the cultural business, and what skills do they need to have? New specializations linked to the world of music, cinema, theatre and performing arts in general, that represents an opportunity for those who want to work in this area, but that today are still not well known by those who start a course of studies. 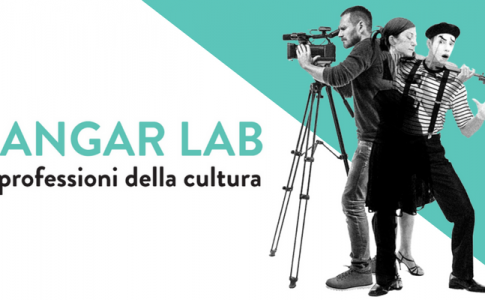 Hangar Lab – laboratory promoted by the Department of Culture and Tourism of the Piedmont Region and by the Fondazione Piemonte dal Vivo together with the DAMS of the University of Turin – organizes a cycle of ten free meetings. In every meeting a different protagonist, a different representative of the cultural professions will share their own experience and their own journey. The cultural business, or the (almost) Business, quoting the title of the new text cured by Hangar, today has 1,5 million employees and a turnover of almost 90 billion euro (the 6% of the national GDP – Symbola-Unioncamere 2017 data). These are numbers that can keep growing and offer further employment opportunities especially to young people: main innovators of the cultural system. The meeting will take place at the Media Lab “Guido Quazza” of Palazzo Nuovo, in Via Sant’Ottavio. The first three meeting are scheduled for February. 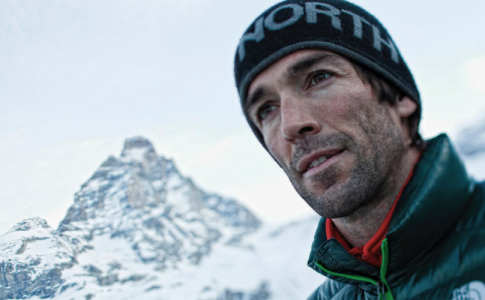 Wednesday, 14th February (11 o’clock) guest Matteo Negrin, manager of the Fondazione Piemonte dal Vivo. Designer and manager of the culture, and expert in the development of innovative devices for the involvement of new people in the production and use of the cultural product. 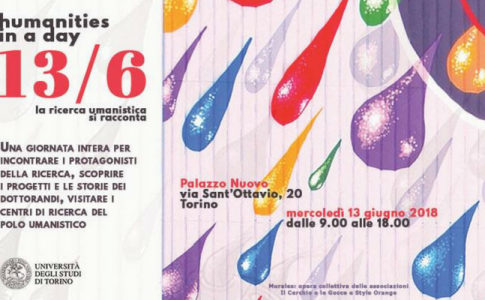 Wednesday 21st February (11 o’clock) guest Gianluca Gozzi, creator and artistic director of the TODAYS festival of the Città di Torino. Producer of several events and international independent concerts, he has also been the creator, founder and factotum first of the sPAZIO211 and then of the BLAH BLAH club. Wednesday 28th February (11 o’clock) guest Olga Gambari, independent curator and journalist. She works with La Repubblica and with Flash Art. She is the artistic director of the project artesera.it and of the festival on independent production nesxt.org. Incoming test: practice with Orient@mente! Do you have to take an admission test or a test of minimum requirements at any University? To start your studies in the best way possible the University of Turin offers you a very useful tool: it is called Orient@mente, it is an online platform that enables you to do several tests of biology, chemistry, physics, logic and mathematics with automatic evaluation. Orient@mente is also useful to review, not only in preparation for an admission test, but also for ongoing exams. If you want to review, increase or integrate your basic knowledge throughout secondary school, you can try the Corsi di Riallineamento (Biology, Chemistry, Physics and Mathematics). 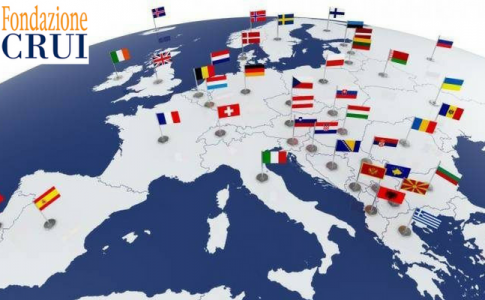 If you are a foreign student who wants to attend an Italian university or a student interested in Erasmus, the cathegory Internazionalizzazione will offer you language courses, statistics and information on international mobility. The Erasmus announcement for the year 2018-2019 is online. 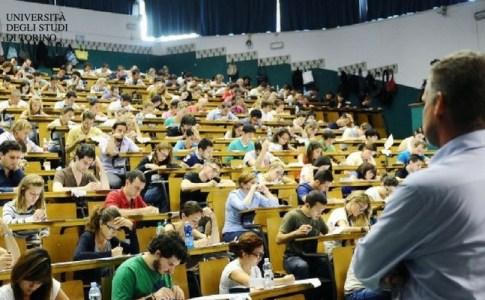 It is dedicated to all the students that are interested to do, in the year 2018-1019, a period of studies of a minimum of three months and of a maximum of twelve months in another Institute of one of the foreign Countries that has signed a bilateral agreement in the field of the program Erasmus+ with the University of Turin. The application form must be submitted by 1 pm of Wednesday, 31 January 2018. The application form is available only in electronic form. The announcement and all the details are available in the dedicated section of the portal of the University.